On the morning of March 22, Belgium's capital Brussels was hit with three explosions: Two blasts making their way through the airport and a third at the Maelbeek metro station. The attacks have led Belgium to raise "its terrorism threat to its highest level," according to The New York Times. 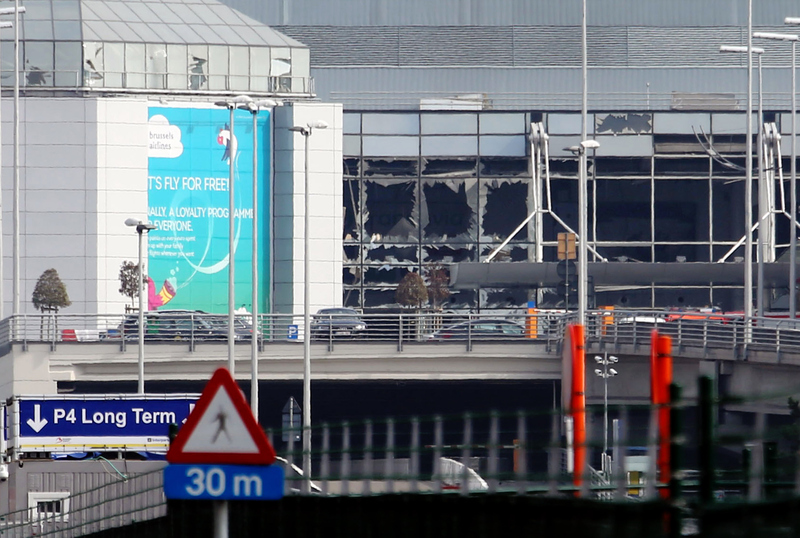 As The Guardian reported, two blasts detonated at the airport in Zaventem, a locality just outside the city, at approximately 8 a.m. local time (3 a.m. ET) killed at least 14 and injured over 80. As of Tuesday morning Eastern Time, the Brussels subway death toll has been confirmed: The city's mayor says that 20 are dead, and 106 are injured, 17 of them severely. To that end, the total Brussels death toll stands at 34. Update: Breaking News reports that Brussels fire officials say that 212 people total were wounded in the attacks: 30 critical, 96 serious, 86 moderate. Earlier: Belgian Prime Minister Charles Michel has urged the population of Brussels to stay put, and make a call to the emergency line (1771) if they need assistance. Although it has yet to be confirmed whether or not the attacks are related to ISIS, the city will remain on lockdown for the time being. In the face of tragedy, people are responding with immense solidarity for Brussels online, with powerful images, tweets, memes, and hashtags arising to support Belgium's capital. Should you be in or near Belgium and able to offer help or room and board to anyone currently displaced, you can use the hashtag #OpenDoor to connect with those in need of assistance. This is a developing story and will be updated as new information about the death toll comes in.